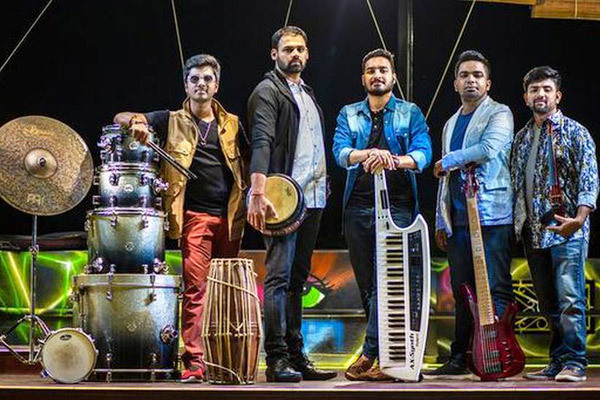 MUMBAI: Chennai’s live fusion band Oxygen, had a scintillating performance at the Rasing Day Coast Guard event in front of the Indian Navy and Air Force coast guards’ Andaman and Nicobar base. The band performed along with other cultural performers, but the headlining act was conducted by them. “We went there two days in advance, had our rehearsals. The coast was completely different from what we have in our mind. We felt very proud performing there,” said C Girinandh, one of the band members and keyboard player. MUMBAI: Music is scientifically considered as a healer. While various genres and beats of music can light up different moods of human, we just learnt about the Heavy Metal genre being an aid for broodiness. MUMBAI: The memoir of American singer-songwriter Prince, who died in April 2016, will hit the stands on October 29. As per the publisher, it will feature never-before-seen documents and the early pages of the memoir Prince began writing before his death. MUMBAI: Actor Adhyayan Suman has sung the recreated version of the song Soniyo from his film Raaz 2, which was released in 2009. He says the track is very close to his heart.Apart from singing the song, he has directed and featured in the video. MUMBAI: VYRL Originals launches its new track Nahi Karna Viah, a foot tapping number with singer-song writer, music producer and cinematographer, Pav Dharia. The video is in collaboration with VYYRL Originals. MUMBAI: Our life has become pretty much easier with transport services like Ola, Uber, isn’t it? But at times we do face glitches when it comes to booking these cabs especially when your driver’s location differs from your actual location.